The most muscular SUV on the market just got even more brawny. 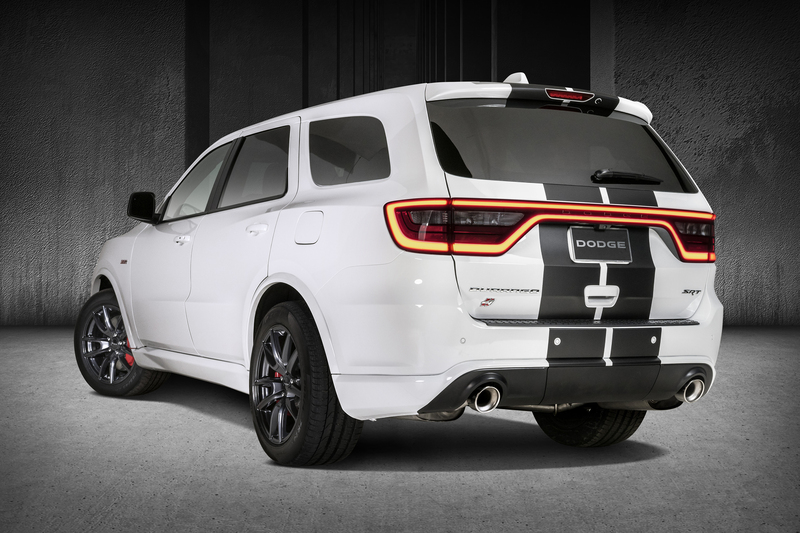 The Dodge Durango R/T and SRT are getting new optional appearance packages along with new Mopar performance parts to make getting the kids to school louder and faster than ever. 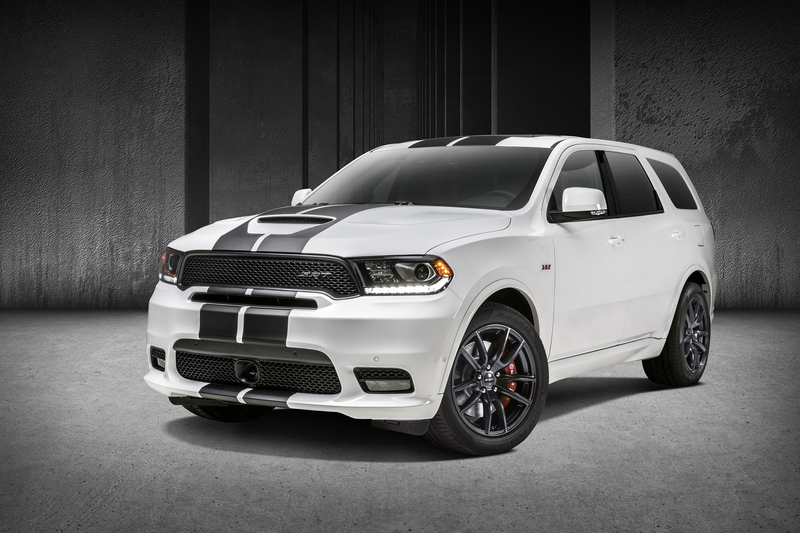 Dual center stripes are now available on the two performance Durango trims in five different colors to add a “sinister factory-custom” look. I’m not sure about “sinister,” but it certainly adds a classic muscle car look that Dodge does better than any other brand. 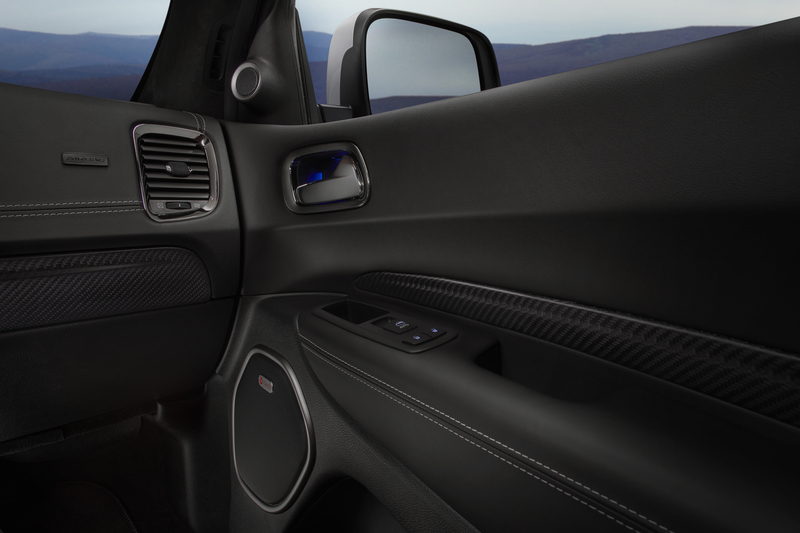 Also newly available is an enhanced SRT Interior Appearance Group, which, as its name suggests, is only available on the 475-horsepower SRT trim. This option adds real carbon fiber interior trim, not that fake plastic stuff that’s all too common. We’re not sure how much it does for weight savings, but it sure looks cool. Now onto the optional performance upgrades. 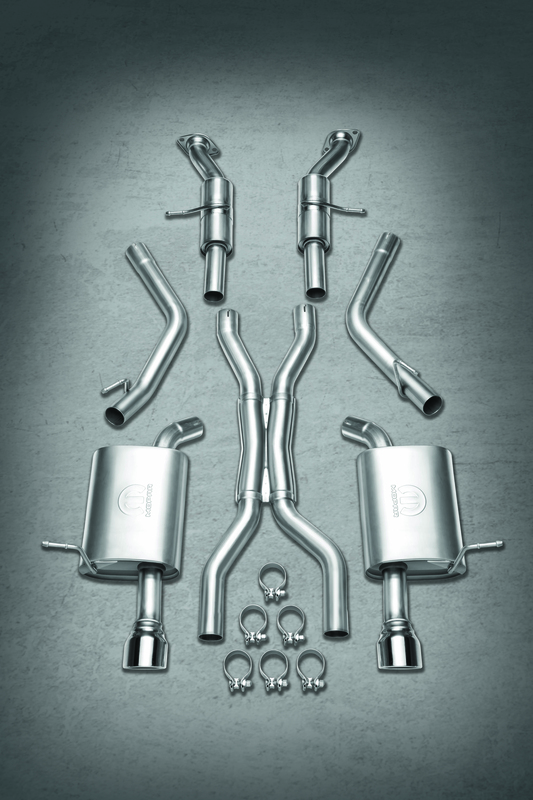 On the R/T and SRT you can now get Mopar performance exhaust system to “improve flow and add an unmistakable note.” Performance exhaust is a tried and true mechanical upgrade that makes your car (or SUV) faster, louder, and just plain cooler. 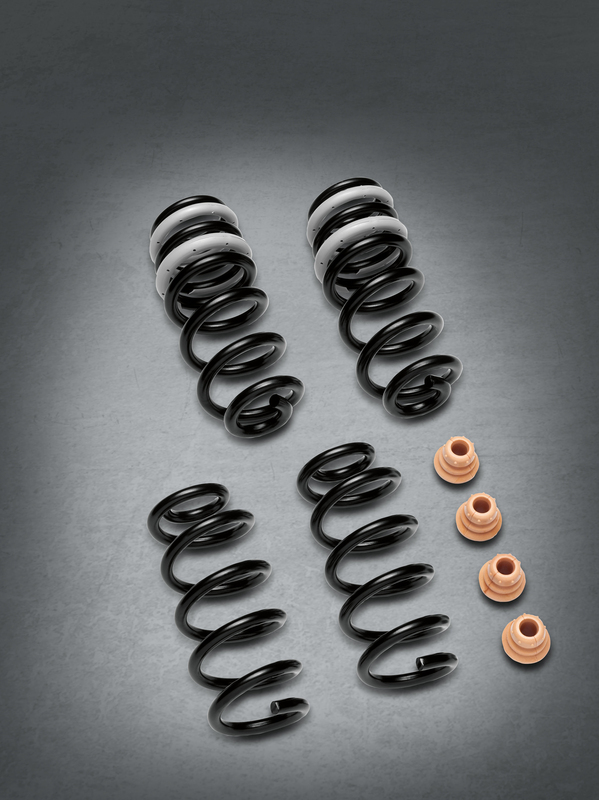 Another new optional upgrade is a Mopar performance lowering spring kit for a lower stance and improved handling. 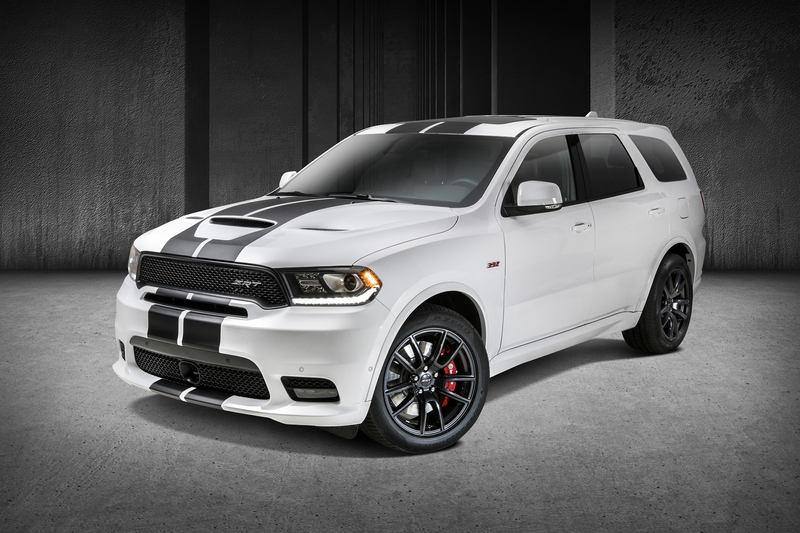 It lowers the Durango an average of 0.6 inches and is only available on the SRT trim. 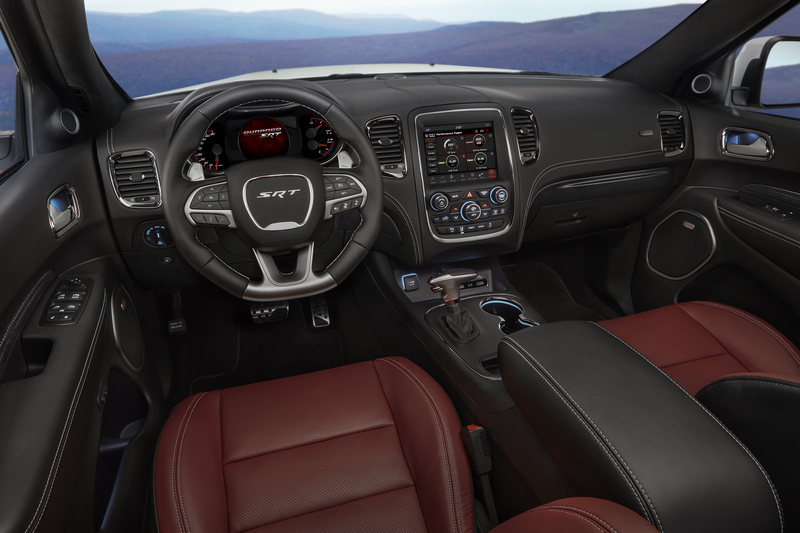 So, if you want all four of these upgrades, you need to get a Durango SRT. 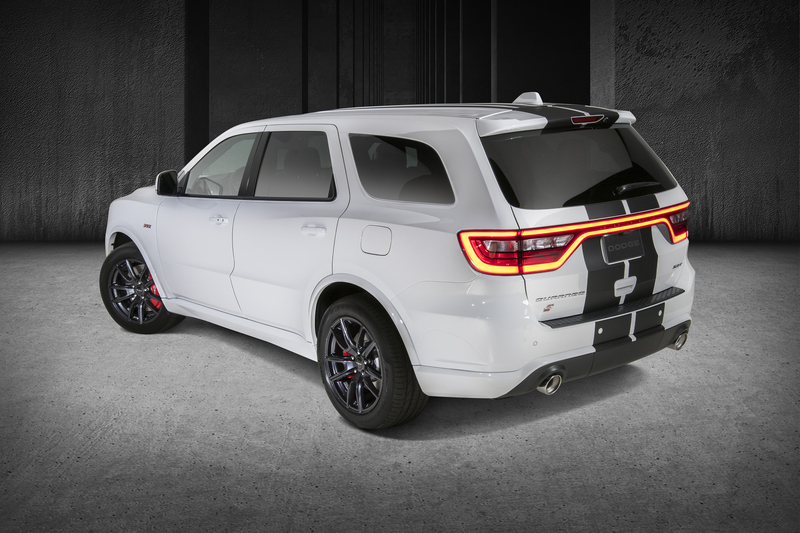 If you want a more budget-friendly muscle SUV, then you can get a Durango R/T with the cool stripes and exhaust and still have a menacing looking 360-horsepower three-row SUV. If you’re getting a V-6 Durango, you probably aren’t all that concerned with burning up the drag strip as you are if you’re getting a Hemi-powered Durango, so the market for these upgrades on lower-end Durangos is probably pretty narrow. 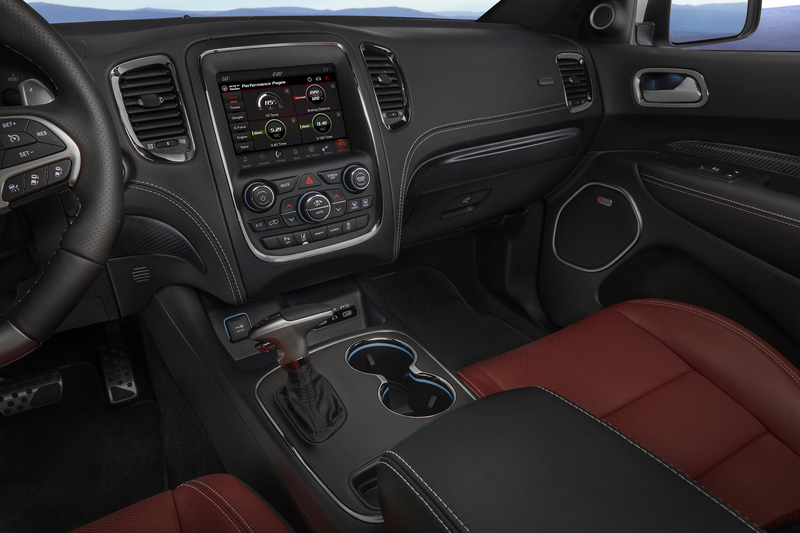 These appearance and performance upgrades further solidify Dodge’s position as a muscle car brand. Bringing old-school cool to the modern era is what Dodge does best and we hope the brand keeps it up. Want the SRT look on an R/T budget? Dodge has you covered. A family station wagon with a tough-sounding name, the Durango offers size and power, but a vague sense of purpose.